Eat and drink while painting! Unleash your creative juices while relaxing and having fun! 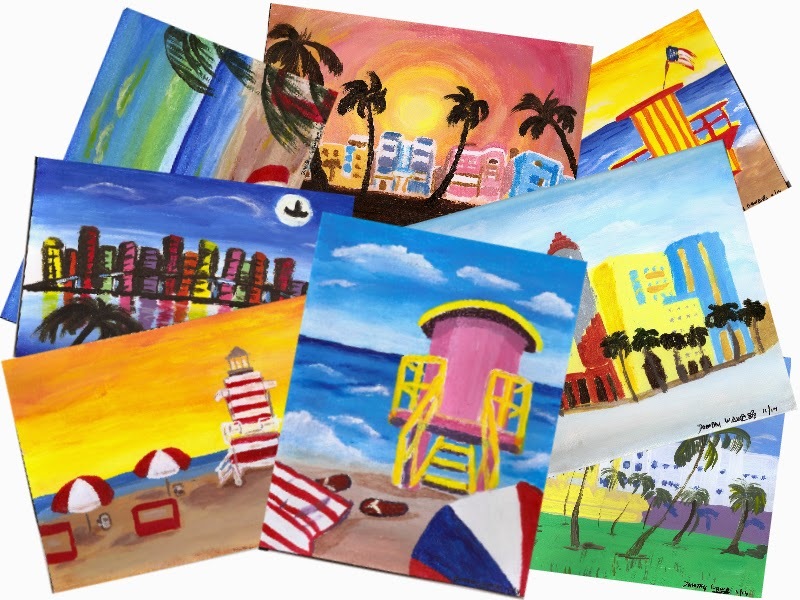 It will take around a couple of hours for you to materialize on your canvas one of the iconic South Beach scenes while dining at one of the finest local restaurants. Yes, you can achieve this with no prior skills necessary. I, Dorothy Wawa, the instructor, will guide you through each step. I hold a bachelor’s degree in fine arts and a master’s in education. I have been teaching the visual arts since 2006. I am apt at leading you through a unique dining-painting experience. All the necessary materials will be provided. The setting is conducive to unleashing your inner artist and to stimulating cheerful socializing. You will be increasingly inspired through the process. The more you ease into the relaxed atmosphere, the more your painting talents will show on your canvas. You will enjoy the satisfaction of producing your own keepsake or present that will be reminiscent of one of the most enthusing dining moments you will ever experience.